Wedge bounce makes a big impact on your short game. along with tools for finding the right bounce for you. Wedge bounce is the angle created between the leading edge and the lowest point of the sole or trailing edge. This is the area of the club that hits through the ground as it contacts the ball. The greater the wedge bounce degree, the higher the leading edge is off the surface at address. Having the proper wedge bounce and grind option promotes optimal contact, control, and ball spin. 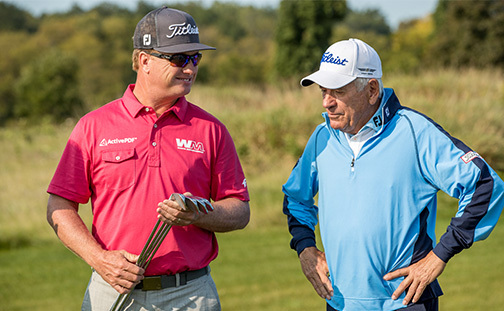 In fact, Bob Vokey says that “Bounce is your friend,” because it provides forgiveness on all wedge shots, allowing you to still strike the ball properly even if you make mistakes. Low bounce wedges are typically between 4°-6°, ideal for firm turf conditions and bunkers with harder or coarse sand. Low bounce wedges are designed for clean ball contact, giving you the precision you need in your short game. For instance, low bounce lob wedges can be used to hit high flop shots or tight lies near the green. Low bounce wedges are also useful to players with a sweeper swing style, with shallower attack angles and minimal divots. Mid bounce wedges range between about 7°-10°, and are most played on firm to normal turf. Players tend to choose mid bounce wedges to create shots around the green, as they help achieve exact distance and trajectory control. This wedge bounce type is the most versatile for more players, and can apply to a wide range of course conditions. While mid bounce wedges are suited for almost all swing types, they most favor a neutral swing style with a moderate attack angle. High bounce sand wedges are ideal for preventing the leading edge of the club from dragging too much in the sand, and high bounce lob wedges are beneficial to those who take deep divots with a digger swing style and steep attack angle. High bounce golf wedges help generate a lot of spin, giving players more control over their short game. The Bounce and Grind options below display the loft, bounce, and grinds available in the Vokey Design SM7 wedges. 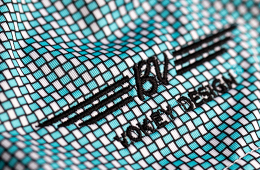 Vokey wedges are labeled loft first, followed by bounce and grind. All Lofts, Bounces, Grinds & Finishes are available in LH. "Bounce is forgiveness in a wedge. 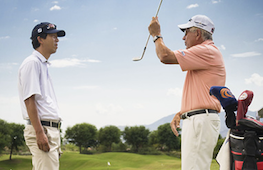 The better the bounce matches your swing type the better your wedge game will be." 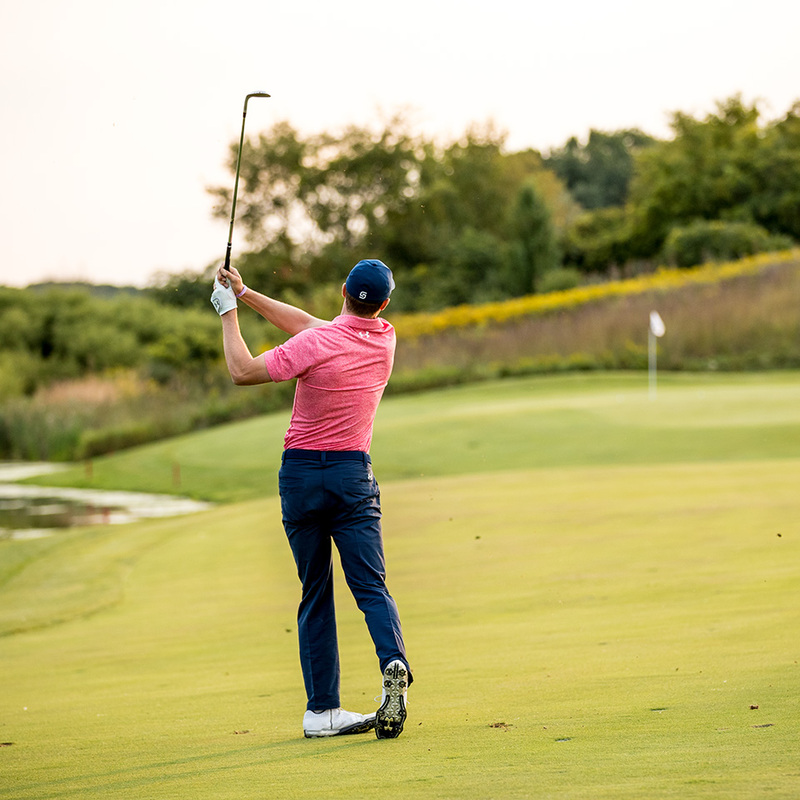 Whether you’re looking for high bounce wedges or low bounce wedges, SM7 has a variety of golf wedge options for every type and level of player. Our Wedge Buying Guide can help you determine if a high bounce wedge or low bounce wedge is right for your game. What is the best bounce for a sand wedge? 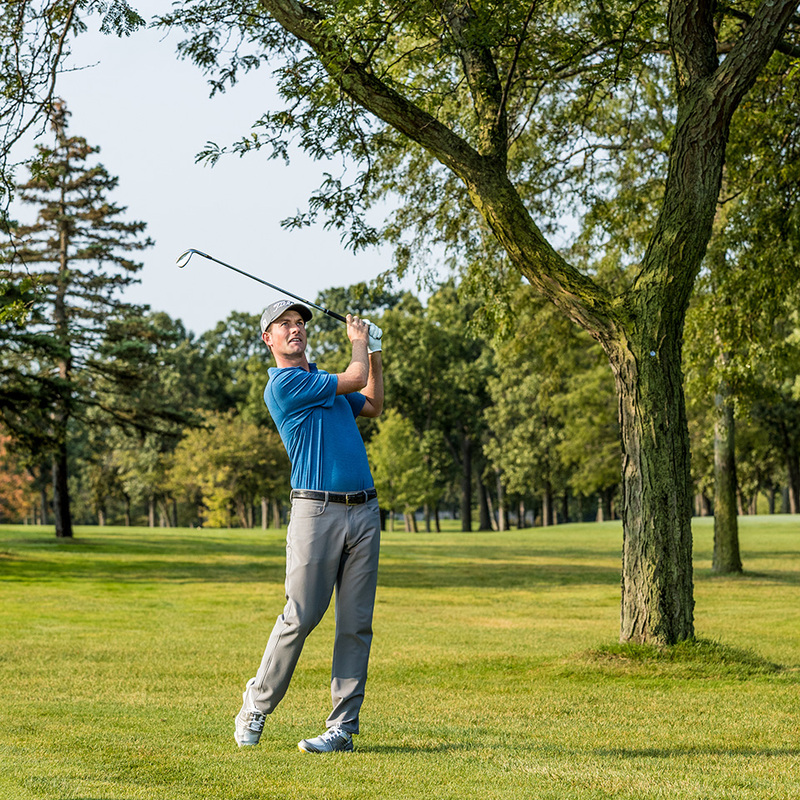 The best bounce for your sand wedge depends on your swing type and course conditions. 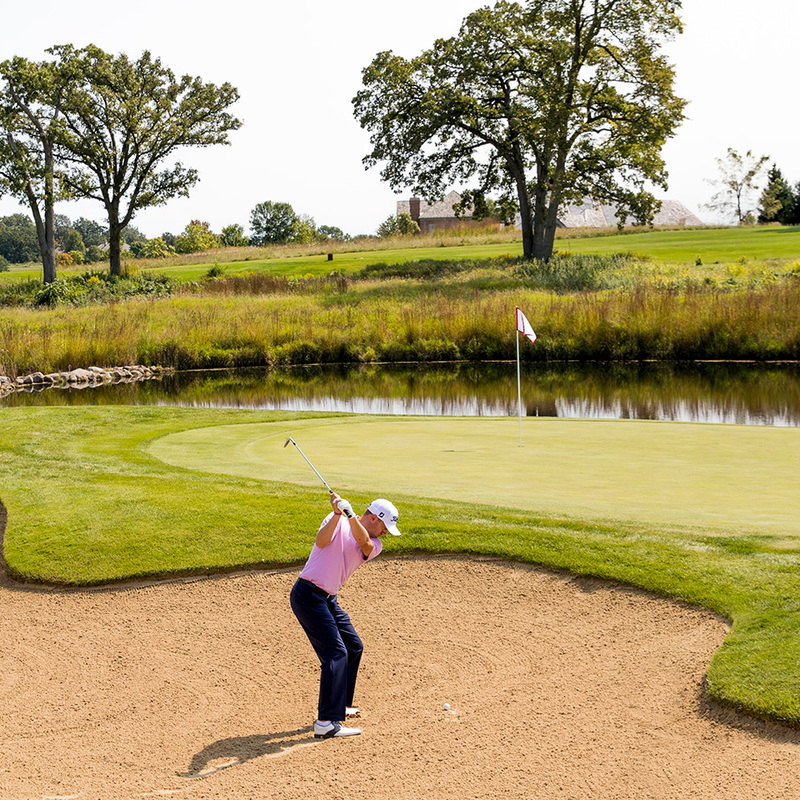 If you have a steep angle of attack resulting in deep divots, a higher bounce is recommended. If you are a sweeper resulting in shallow or no divot, low bounce is recommended. 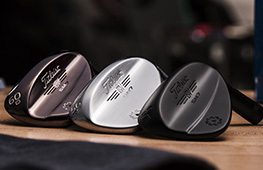 Vokey encourages golfers to go through a wedge fitting to ensure they get the proper bounce for their swing type. Low bounce vs high bounce wedges? Low bounce wedges are great for firm conditions and players that take very little divot. A low bounce wedge will tend to dig or cut into the turf. High bounce wedges are great for softer conditions and players that take a bigger divot. A high bounce wedge will tend to glide through the turf and resist digging. What bounce should I have on my wedges? Each wedge in your bag has a job to do, so there is no one-size-fits-all bounce. If you are a steeper player that takes bigger divots, we recommend at least one high bounce wedge. If you are a shallow player that takes little to no divot, we recommend having at least one low bounce wedge. The only way to get the best performance out of your wedge set is to be properly fit for your swing type. What is a standard wedge bounce? There is not a one-size-fits-all wedge bounce. Every player is different and course conditions change. The only way to get the best performance out of your wedge set is to be properly fit for your swing type. Looking for your next golf wedge? 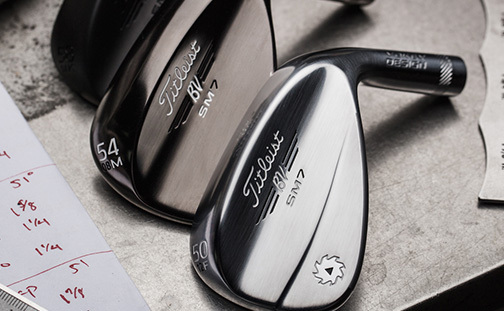 Use our tool to determine which wedge bounce and wedge loft options fit your swing style.